XIV. 1. Christianity, having overcome heathen prejudice, demythologised nature, thus contributing to the development of natural science. With time, science, both natural and humanitarian, became one of the most important components of culture. By the end of the 20th century, science and technology have achieved such results and influence on all aspects of life as to become in fact the decisive factors in the life of the civilisation. At the same time, despite Christianity’s initial impact on the formation of scientific activity, the development of science and technology under the influence of secular ideologies has led to consequences arousing serious fears. The ecological and other crises, which have hit the modern world, have increasingly challenged the way chosen. The scientific and technological level of the civilisation is such that the criminal actions of a small group of people can cause, in principle within a few hours, a global disaster in which all the highest forms of life will perish irrevocably. From the Christian perspective, such consequences have arisen because of the false principle lying in the basis of the contemporary scientific and technological development. This principle stipulates a priori that this development should not be restricted by any ethical, philosophical or religious requirements. With this «freedom» however, the scientific and technological development finds itself at the mercy of human passions, first of all vanity, pride and thirst for the greatest possible comfort, which frustrates the spiritual harmony of life with all the ensuing negative developments.Therefore, to ensure normal human life it is necessary today as never before to restore the lost link of scientific knowledge with the religious spiritual and moral values. The need for this link is also conditioned by the fact that a considerable number of people still believe in the omnipotence of the scientific knowledge. It is partly due to this belief that some atheistically-minded thinkers of the 18th century resolutely opposed science against religion. At the same time, it is commonly accepted that in all times, including the present, many outstanding scientists were and are religious people. It would be impossible if there were fundamental contradictions between religion and science. The scientific and the religious types of knowledge are completely different. They have different points of departure and different goals, tasks and methodologies. These spheres can come in touch and overlap, but cannot oppose each other, because the natural science contains no atheistic or religious theories, but more or less authentic theories, whereas religion does not deal with matter. Mikhailo Lomonosov rightly wrote that science and religion «cannot come into conflict… unless some one excites strife in them out of conceit and desire to show off one’s ingenuity». 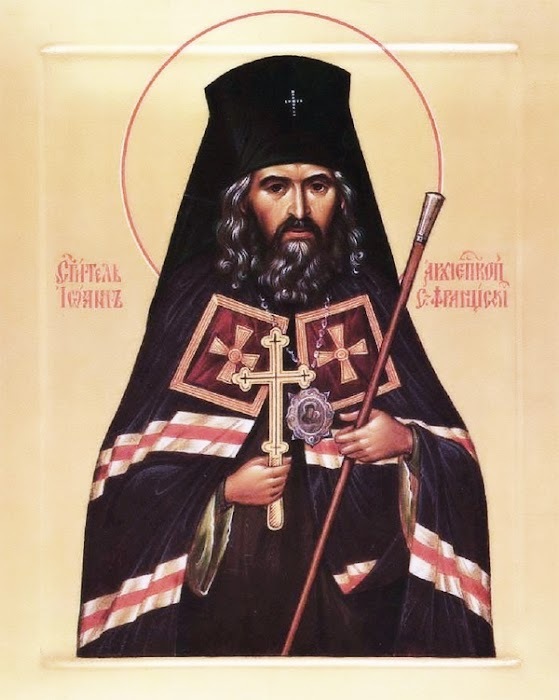 St. Philaret of Moscow expressed a similar idea: «The faith in Christ is not in conflict with the true knowledge, because it is not in union with ignorance». Noteworthy also is the incorrectness of opposing religion to the so-called scientific worldview. Only religion and philosophy by their very nature can fulfil the function of worldview, which no specific science or concrete scientific knowledge as a whole can assume. A reflection on scientific achievements and on their inclusion in an ideological system, however, can take place in a wide framework beginning from religious to openly atheistic. Though science may be one of the ways to know God (Rom. 1:19-20), Orthodoxy sees in it also a natural instrument for building life on earth, which is to be used very prudently. The Church warns man against the temptation to view science as a realm completely independent of moral principles. Today’s achievements in various areas, including the physics of fundamental particles, chemistry and microbiology, show that they are essentially a double-edged sword that can both benefit man and take away his life. The evangelical norms of life make it possible to educate a person in such a way that the knowledge and abilities obtained could not be abused. This is why the Church and secular science are called to co-operation for the sake of life and its proper order. Their interaction contributes to the healthy creative climate in the spiritual and intellectual sphere, thus helping to create the best conditions for the development of scientific research. Prominence should be given to social sciences which by their nature are inevitably linked with theology, church history and canon law. While welcoming the works of secular scientists in this area and recognising the importance of humanitarian studies, the Church does not consider the rational picture of the world, sometimes formed by these studies, to be complete and comprehensive. The religious worldview cannot be rejected as a source of the ideas of truth and the understanding of history, ethics and many other humanitarian sciences which have the reason and right to be present in the system of secular education and formation and in the building of social life. It is only the combination of spiritual experience and scientific knowledge that ensures the fullness of cognisance. No social system can be described as harmonious as long as it gives monopoly to the secular worldview in making socially significant judgements. Unfortunately, there is still a danger of ideologised science for which the nations have paid too high a price in the 20th century. This ideologisation is especially dangerous in the area of social studies which are laid in the bases of state programs and political projects. While opposing attempt to substitute ideology for science, the Church supports the especially important dialogue with humanitarian scholars. Man as the image and likeness of the Incomprehensible Creator is free in his mysterious depths. The Church warns against the attempts to use the scientific and technological progress for establishing control over the inner world of the personality, for creating any technologies making it possible to infuse and manipulate the human consciousness or sub-consciousness. XIV. 2. The Latin word cultura meaning cultivation, breeding, education, development is derived fromcultus meaning veneration, worship, cult. This points to the religious roots of culture. Having created man, God put him in paradise and ordered him to cultivate and keep His creation (Gen. 2:15). Culture as the preservation of the world around man and care of it is a God-commanded duty of man. After the expulsion from the Garden of Eden, human beings had to face the need to struggle for survival. They began producing instruments of labour, to build cities, to develop agriculture and arts. The church fathers and doctors emphasised the divine origin of culture. Clement of Alexandria, in particular perceived it as a fruit of the human creative work under the guidance of the Logos. He said that «Scripture gives the common name of wisdom to all the earthly sciences and arts generally, everything that the human mind can achieve… for every art and every knowledge comes from God». St. Gregory the Theologian wrote: «Just as in subtle musical harmony every string produces a different sound, one high, another low, so also the Artist and Creator-Word, having installed different inventors for various occupations and arts, has given everything in the possession of all those who wish in order to tie us by the bonds of fellowship and love of man and make our life more civilised». The Church has assimilated much from what has been created by humanity in art and culture, re-melting the fruits of creative work in the furnace of religious experience in the desire to cleanse them of spiritually pernicious elements and then to offer them to people. She sanctifies various aspects of culture and gives much for its development. The Orthodox icon-painter, poet, philosopher, musician, architect, artist and writer — all use the means of art to express the experience of spiritual renewal they have found in themselves and wish to offer to others. The Church makes it possible to see man, his inner world and the meaning of his life in a new light. As a result, the human creativity in its churching returns to its original religious roots. The Church helps culture to cross the boundaries of a purely earthly pursuit. Offering it a way to cleanse the heart and unite with the Creator she makes it open for co-work with God. The secular culture can be a bearer of the good news. It is especially important in those cases when Christian influence in society weakens or when the secular authorities inter in an open struggle with the Church. Thus, in the years of state atheism, the Russian classic literature, poetry, painting and music became for many almost the only sources of religious knowledge. Cultural traditions help to preserve and enrich the spiritual heritage in a rapidly changing world. This is true for various kinds of creativity, such as literature, representational arts, music, architecture, drama and cinematography. For the preaching of Christ any creative style is suitable if the artist is sincerely pious in his intentions and if he keeps faithful to the Lord. The Church has always made this appeal to the people of culture: «Be ye transformed by the renewing of your mind, that ye may prove what is that good, and acceptable, and perfect, will of God» (Rom. 12:2). At the same time, the Church gives this warning: «Beloved, believe not every spirit, but try the spirits whether they are of God» (1 Jn. 4:1). Man has not always been spiritually sharp-sighted enough to distinguish between genuine divine inspiration and ecstatic «inspiration» behind which stand dark forces making a destructive impact on man. The latter happens, in particular, when people come in touch with the world of magic and sorcery or take up drugs. The church education helps a person to find the spiritual sight enabling him to distinguish between good and bad and between the divine and the demonic. The encounter between the Church and culture does not at all always mean just co-operation and mutual enrichment. «The True Word, when it came, showed that not every opinion and every teachings is good, but some are good, while others are bad» (St. Justin the Philosopher). Recognising every man’s right to give a moral assessment to cultural developments, the Church reserves the same right to herself too. Moreover, she sees in it her direct obligation. Without insisting that the church evaluation system should be the only one accepted in secular society and state, the Church is convinced of the ultimate truth and salvific nature of the way revealed to her in the Gospel. If a creative work contributes to the moral and spiritual transformation of the personality, the Church gives her blessing upon it. But if culture puts itself in opposition to God, becoming anti-religious and anti-humane and turning into anti-culture, the Church opposes it. However, this opposition is not a struggle against the bearers of this culture, for «we wrestle not against flesh and blood, but our struggle is spiritual, aimed to deliver people from the pernicious impact made on their souls by dark forces, «spiritual wickedness in high places» (Eph. 6:12). The eschatological aspiration of the Christian does not allow him to identify his life fully with the world of culture, «for here we have no continuing city, but we seek one to come» (Heb. 13:14). The Christian can live and work in this world, but he should not be fully absorbed in the earthly activity. The Church reminds the people of culture that their calling is to cultivate people’s souls, including their own, seeking to restore in them the image of God distorted by sin. Preaching the eternal Truth of Christ to people living in changing historical situations, the Church does it through cultural forms peculiar to the time, nation and various social groups.What has been experienced by some peoples and generations has to be sometimes interpreted anew to others in a way familiar and understandable for them. No culture can be regarded as the only one acceptable for the expression of the Christian spiritual message. The verbal and graphic language of preaching, its ways and means, are changed naturally in the course of history and vary depending on the national and other contexts. At the same time, the changeable moods of the world cannot be the grounds for rejecting the worthy heritage of the past centuries and all the more so for consigning the church Tradition to oblivion. XIV. 3. Christian tradition has always respected the secular education. Many church fathers studied in secular schools and academies and considered the disciplines taught in them to be necessary for a believing man. St. Basil the Great wrote that «external sciences are not without use» for a Christian who should borrow from them everything that contributes to his moral improvement and intellectual growth. According to St. Gregory the Theologian, «every one who has an intellect recognises scholarship (paideusin) as a primary blessing for us. And not only this noble scholarship of our own, which… has as its subject only salvation and the beauty of what is contemplated by the mind, but also the external scholarship which many Christians abhor out of ignorance as unreliable, dangerous and diverting from God». From the Orthodox perspective, it is desirable that the entire educational system should be built on religious principles and based on Christian values. Nevertheless, the Church, following the age-old tradition, respects the secular school and is willing to build relations with it on the basis of human freedom. At the same time, the Church considers it inadmissible to impose on students anti-religious and anti-Christian ideas and to assert the monopoly of the materialistic worldview (see XIV. 1). The situation typical of many countries in the 20th century when state-run schools were made instruments of militant atheistic education should not be repeated. The Church calls to remove the consequences of atheistic control over the system of public education. Unfortunately, the role of religion as forming the spiritual self-awareness of peoples is underestimated in many curricula on history to this day. The Church keeps reminding people of the contribution Christianity has made to the treasury of the world and national cultures. The Orthodox believers regret the attempts to borrow uncritically the educational standards, principles and curricula of the organisations known for their negative attitude to Christianity in general and to Orthodoxy in particular. The danger of occult and neo-heathen influences and destructive sects penetrating into the secular school should not be ignored either, as under their impact a child can be lost for himself, for his family and for society. The Church believes it beneficial and necessary to conduct optional classes on Christian faith in secular schools, at the request of children or parents, and in higher educational institutions. The church authorities should conduct dialogue with the government aimed to seal in the legislation and practice the internationally accepted right of believing families to the religious education and upbringing of their children. To this end, the Church has also established Orthodox institutions of general education and expects that they will be supported by the state. School is a mediator that hands over to new generations the moral values accumulated in the previous centuries. School and the Church are called to co-operation in this task. Education, especially that of children and adolescents, is called not only to convey information. To warm up in young hearts the aspiration for the Truth, authentic morality, love of their neighbours and homeland and its history and culture is a school’s task no smaller but perhaps even greater than that of giving knowledge. The Church is called and seeks to help school in its educational mission, for it is the spirituality and morality of a person that determines his eternal salvation, as well as the future of individual nations and the entire human race.